Physical characteristics: Northern ravens have shiny black plumage, black bills, and black legs and feet. These birds have long bills. There are long, pointed feathers around the neck. The length of northern ravens ranges from 22.62 to 26.91 inches (58 to 69 centimeters). Birds weigh from 2.02 to 3.43 pounds (92 to 156 grams). Geographic range: Northern ravens are found throughout the Northern Hemisphere. In North America they range from Alaska to Greenland, south through Canada, and into the United States and Mexico. In the United States they are typically found west of the Rocky Mountains and along the east coast from Canada to Georgia. Birds also range throughout Europe. 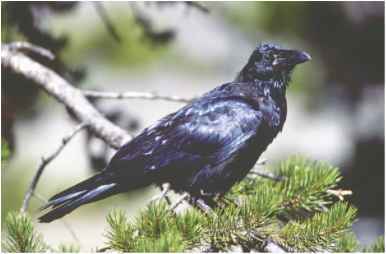 Habitat: Northern ravens live in many different habitats, including the treeless tundra. They choose locations away from people. Diet: Northern ravens eat carrion, the decaying bodies of dead animals. They use their strong bills to rip into dead animals or kill live prey. Ravens also eat plants and berries. Behavior and reproduction: Northern ravens have long-term mating partners. The female raven lays from three to seven eggs in the spring. Eggs hatch in eighteen to twenty-one days. Birds grow feathers five to six weeks later. Northern ravens and people: People killed northern ravens because they wrongly blamed ravens for the death of cattle. The raven is a symbol of death and the bird's ability to say words is the subject of Edgar Allen Poe's poem, "The Raven." Stuart, Chris and Tilde. 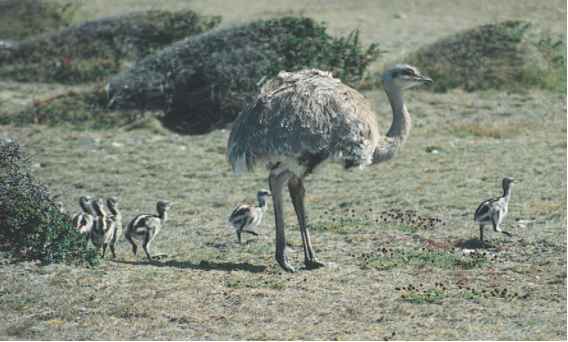 Birds of Africa From Seabirds to Seed Eaters. Cambridge, MA: The MIT Press, 1999. Youth, Howard. "The Revered, Reviled Crow Clan." ZooGoer 30, no. 3 (2001). Online at http://nationalzoo.si.edu/publications/zoogoer/ 2001/3/reviledcrowclan.cfm (accessed on July 20, 2004).